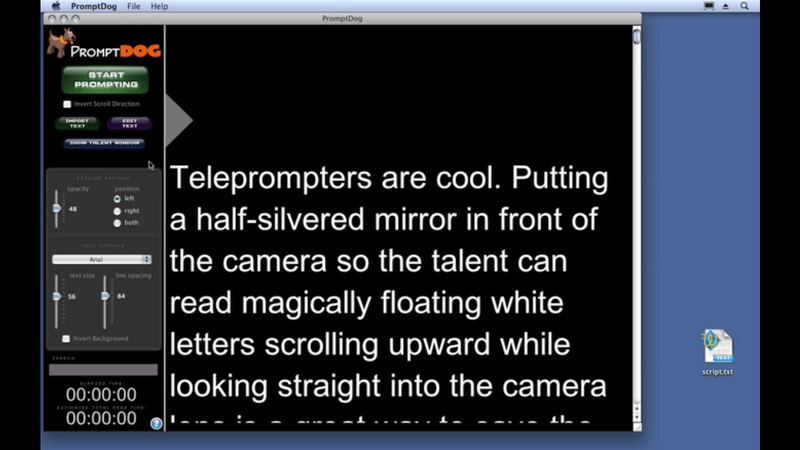 PromptDog is a high-end software-only teleprompter, designed by DVcreators.net, for actual shoots, and tweaked extensively on the set and afterwards till it worked perfectly. It’s a fraction of the price of competing, inferior solutions. Available for Mac or WIN. There’s a also a consumer version called PromptPuppy for less demanding situations. 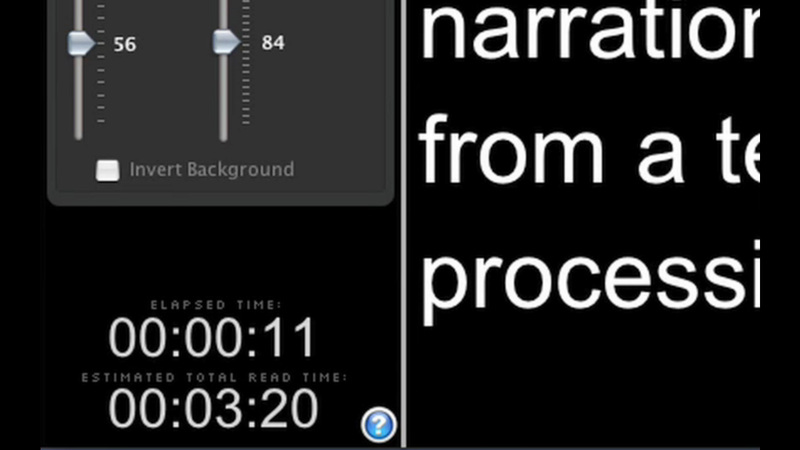 Simply press the space bar to pause and restart prompter at same scroll speed. Can be mapped to programmable remote controls! Super fast mouse wheel rewind to back up a few lines for rapid re-takes. Out-of-the-box support for non-English languages and special characters. Instantly jump to a specific word or phrase in both the script editor and operator window. Make on-the-spot script revisions with the ‘always available’ script edit button. Control text size, font, line spacing and invert black text on white background directly from the main operator window – no hunting for preferences or searching through menus. Easily colorize specific sections of your script to emphasize specific words or designate different segments for multiple speakers. Keep track of script read time with elapsed time as well as total estimated read time updated in real-time! Run it with one display or two for sessions with separate operator and talent. Perfectly synchronized and resizable. One click text reversal for use with high-end and DIY hardware alike. Displayed via an optional second talent monitor, the reversed text will appear normal when reflected off half silvered glass placed directly in front of the camera. Click ‘n’ drag eyeline indicators on left, right or both. Transparency adjustable and automatically mirrored in second monitor.